Will There Be Immigration Reform In 2013? Every now and then, when a judge is writing a decision, that judge will add a footnote about a question that is NOT being considered by the court. It’s a way of signaling that a particular legal issue remains an open question. Or maybe it’s a way of telling the lawyers “hey, you guys should litigate this issue next! I want to write a decision on it!” Anyway, I digress. Earlier this year, I asked the question: Will there be a new immigration law this year? I noted that the answer would depend on the House of Representatives. 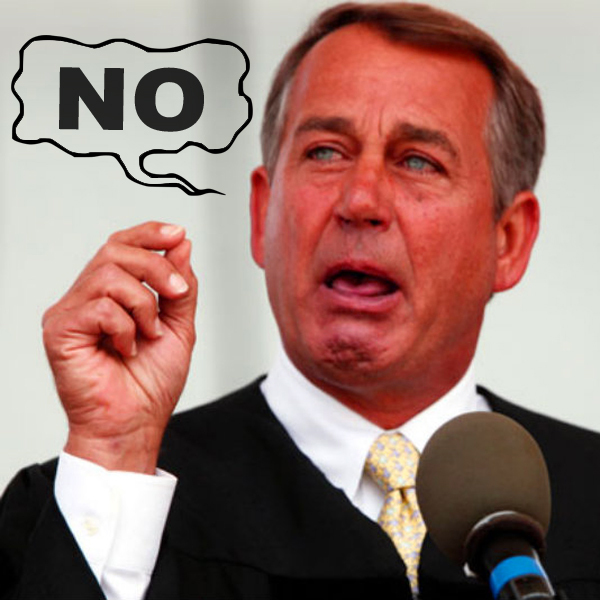 The leader of the House has now provided a definitive answer: No! Speaking of chance, there has been some speculation that the Philippines may be designated as a Temporary Protected Status country. The chances might be slightly better than one in a million, but if it were to happen, you can bet that I’ll be writing about it here. I do want to take a moment to thank everyone who has asked about the safety of my family. We may be from Pangasinan (far to the north of the typhoon’s path), but we are all Pilipinos. Please keep the Philippines in your thoughts. And hug your family members. If you would like to donate, please visit Charity Navigator.